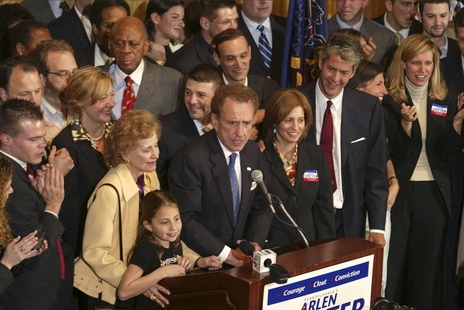 Arlen Specter (born February 12, 1930 – October 14, 2012) was an US Senator from Pennsylvania. He had 30 years in the Senate. He changed to the Democratic Party in 2009. 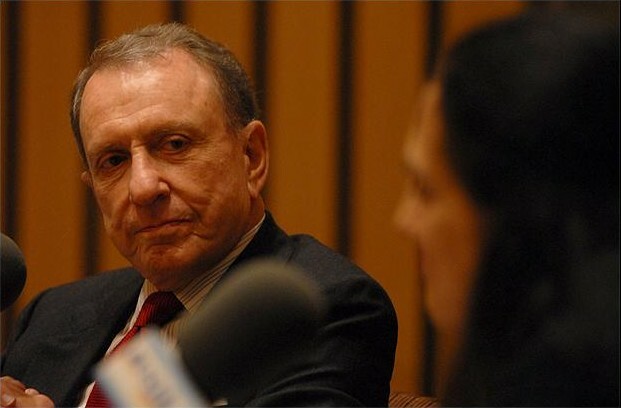 Specter was born on February 12, 1930 in Wichita, Kansas. He graduated from the University of Pennsylvania. He was with the United States Air Force during the Korean War. Specter later graduated from Yale Law School. He was married to Joan Specter. They had two children. Specter died on October 14, 2012 from Non-Hodgkin's Lymphoma in Philadelphia, Pennsylvania, aged 82. Specter reproducing the assumed alignment of the single bullet theory. 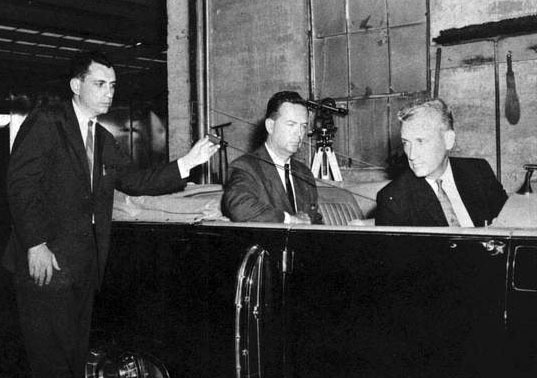 The subsequent revelation that Texas Governor John Connally's seat in the Presidential limousine had been elevated with respect to John Kennedy's corroborated this theory. Specter with Martin Luther King, Jr.
Specter while he was being interviewed by Margot Adler for an episode of Justice Talking on "Presidential signing statements." 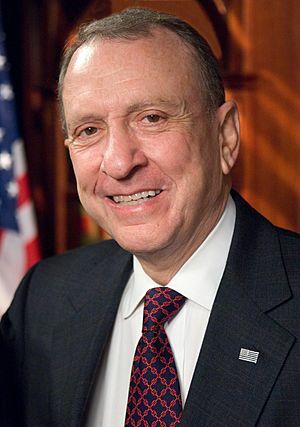 Arlen Specter Facts for Kids. Kiddle Encyclopedia.